By Natasha Alden | October 4, 2018 | This post may contain affiliate links, which means we may receive a small commission, at no cost to you, if you make a purchase through a link. Read our Disclosure. By the time we made it to Botswana, after six months in Africa, we were eager to explore the country. Botswana is a land of pristine wilderness and draws in safari enthusiasts from all over the globe. The country is made up of wetlands and the massive Kalahari Desert. Besides the sheer natural beauty of Botswana, the country is also one of the most financially and politically stable countries on the continent. We may have caught the sunrise in the Namib Desert and relaxed on the white sand beaches of Mozambique, but traveling Botswana was unforgettable. Here are our five favorite experiences and things to do in Botswana. 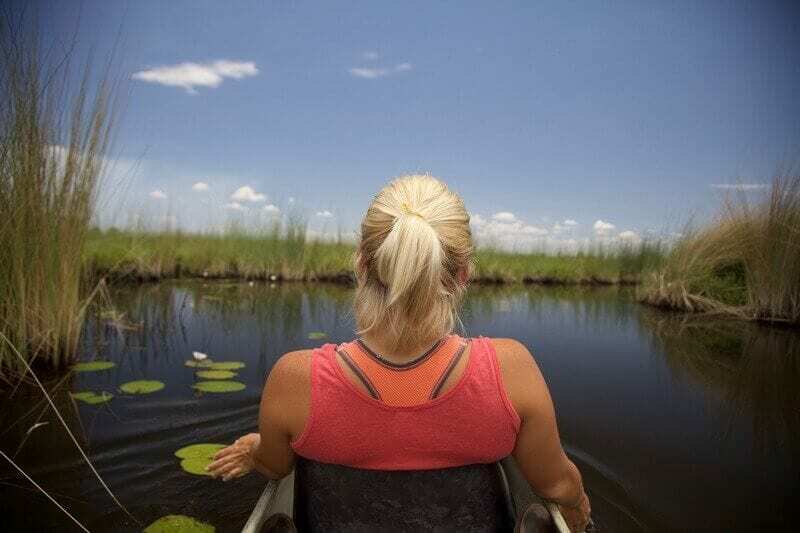 Taking a ride in a mokoro is the perfect way to experience the Okavango Delta. The mokoro is a traditional dugout wooden canoe. They are used in shallow waters where the poler can steer the mokoro, making it the perfect way to cross shallow waters of the Okavango Delta. The Delta is one of the top wildlife spectacles in the world. 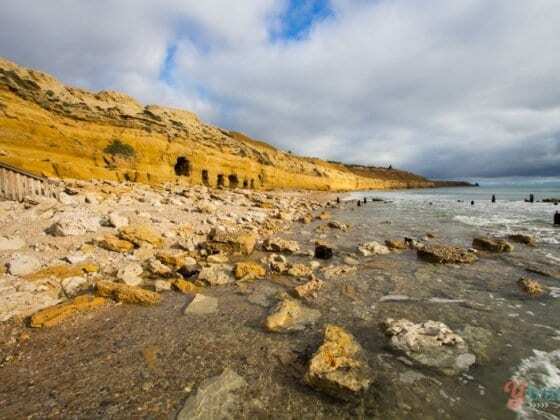 In fact, you have probably seen it on BBC’s Planet Earth or on the cover of National Geographic. The delta is a mixture of sand, marsh, and water filled with African wildlife. A mokoro ride through the delta is an incredible way to get up close and personal with one of Arica’s top destinations. Safari-goers float through tranquil channels in the heart of Botswana. Just watch out for the hippos! Insider Tip: A trip to the Okavango Delta doesn’t come cheap. To get the most bang for buck try self-driving into Moremi National Park and camping. Mokoro trips can easily be arranged at these campsites or in Maun at Old Bridge Backpackers. 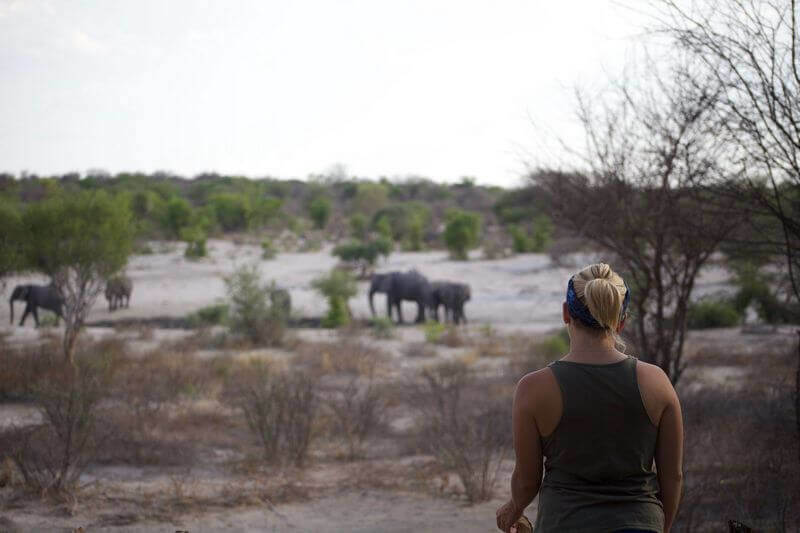 Seeing elephants in Chobe National Park was one of our favorite experiences in Botswana. 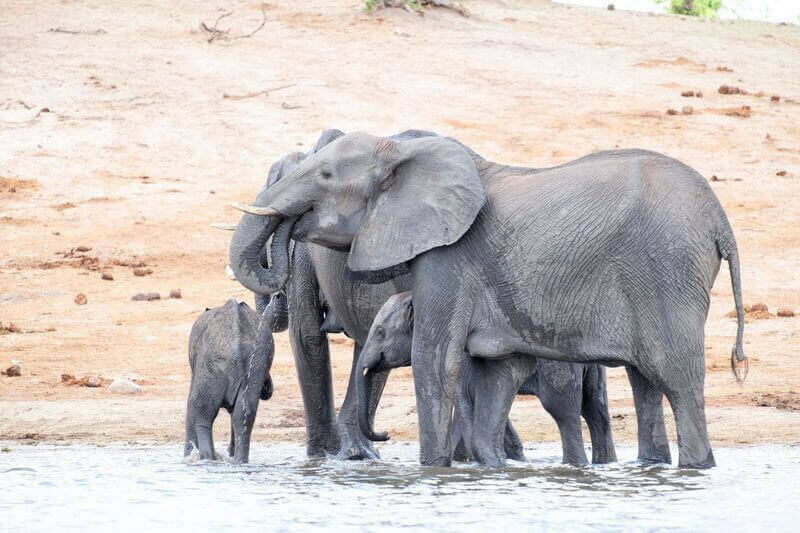 The base for the Chobe National Park, Kasane connects Botswana, Namibia, Zimbabwe, and Zambia together making Chobe National Park one of the most accessible in all of Africa. Besides the ease, Chobe National Park has one of the largest concentrations of game in all of Africa. The park is home to all of the Big Five (elephant, lion, buffalo, rhino, and leopard). It is even estimated that there are over 120,000 elephants in the park. So with just a few hours in the park, you are almost guaranteed to see an elephant on safari. The best part about visiting Botswana’s first park is that you can take either a traditional land safari or a river cruise. We decided to try out both and saw just about everything you could hope for while in Botswana. From the Chobe River, we were able to get up close with crocodiles, buffalo, beautiful birdlife, and baby elephants bathing. While on land we could view things like baby impala, vultures, and lionesses with their cubs. Insider Tip: Overland safaris and river cruises into the Chobe National Park can all be arranged once in Kasane. Or try staying overnight on a luxurious houseboat, like us! The Botswana salt flats are one of the largest salt flats in the world. The landscapes here are some of the most unique in all of Botswana. The Makgadikgadi Pans are in close distance to the town of Nata. From there you can drive to the Gweta entrance to enter the park. The park is 4×4 recommended, but another popular option is to take ATV’s and drive off into the never-ending sunsets in the pans. If you’re feeling adventurous then be sure to set up an overnight stay within the park. Here you will be able to spend the night watching the shooting stars on a bedroll next to a blazing fire, or “bush TV” as the Africans like to call it. Insider Tip: We found great value at Nata Lodge. They organized trips into the pans for less than $100 per person. The Kalahari is an inhospitable environment, but you’ll still see lots of animals. There is so much beauty in the Kalahari between the sand acacias, apple leafs, sand dunes, and grasslands. 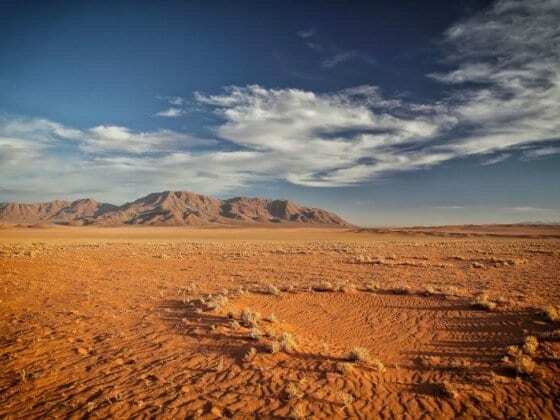 By some measurements, the Kalahari Desert holds the largest volume of sand in the world when compared to other deserts. 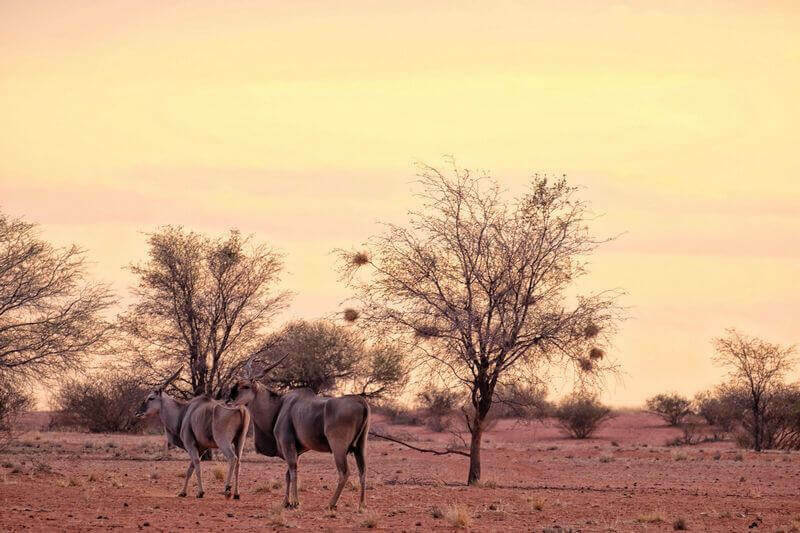 The Kalahari encompasses and humbles visitors who are at will to nature at its harshest. A 53,000 SQ km reserve in the desert can do that to you. The Central Kalahari Game Reserve is actually the second largest wildlife reserve. The Central Kalahari Game Reserve is actually the second largest wildlife reserve in the world. Just because you are in one of the worlds most inhospitable environments doesn’t mean you won’t see any animals. The wildlife here have adapted to the harsh climate and viewing is at it’s best in the Kalahari. Wildebeest, zebra, red hartebeest, lions, and more roam free across their giant home in Botswana. Insider Tip: To self-drive the park a 4×4 is a must. When going into remote places like the Kalahari it’s also important to pack enough water, food, and fuel to get you through your journey. It’s not for the faint of heart. 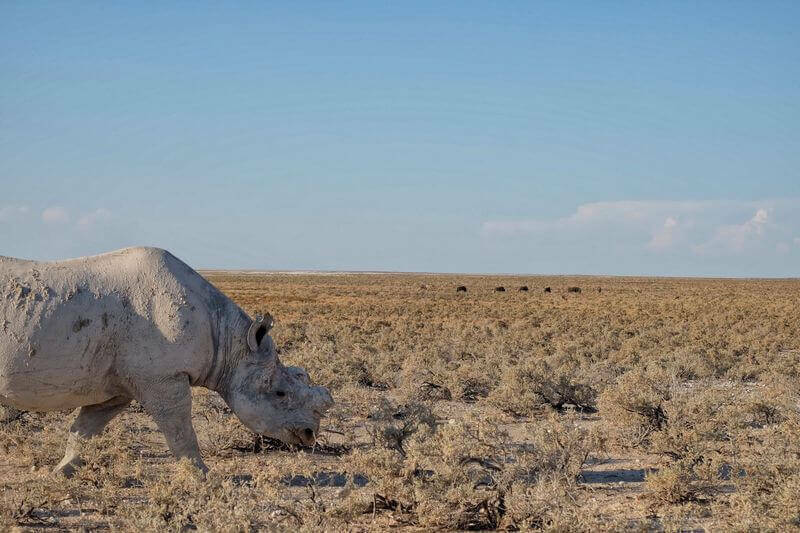 Unfortunately poaching has drastically decreased the rhino population. You can find both black and white rhino at the Khama Rhino Sanctuary outside of Seroe. KRS is a community-based project run by the local Botswana community and benefit the local people and wildlife through sustainable tourism. If you have never seen a rhinoceros before then this place is the best for viewing the magnificent animals. After now eight months in Africa and over a dozen game drives, I have to say that viewing a rhinoceros is quite lucky. Unfortunately, due to the high demand for ivory in China and other countries, the lives of rhinos have been greatly affected. It’s estimated that there are less than 30,000 rhinos left in the world, and if poaching continues we could lose them all. It’s a sad situation and that’s why I love the work that Khama is doing. Even if you get rhino-ed out (which you won’t), there are over 30 other species of animals in the sanctuary as well as abundant African bird life. Insider Tip: Bring your swimsuit. The Khama Rhino Sanctuary has a restaurant and a pool to cool off from the hot African sun. Want to overland Africa and see all these places on your own just like us? Check out why we are overlanding the continent and how we can help you plan your trip on our Hashtag Africa page. Booking.com has over 170 properties in Botswana. You get free cancellation on most rooms and a best price guarantee. 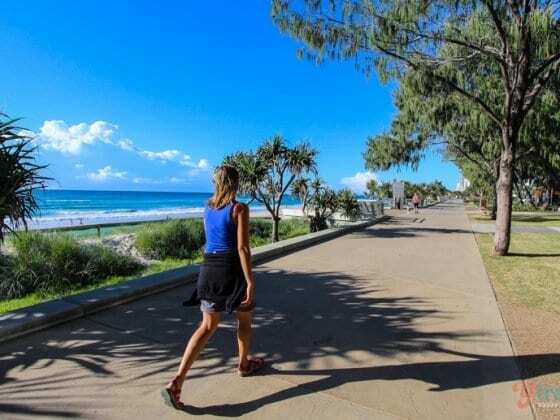 Skyscanner is a comparison website that searches millions of flights. Once you find your best deal, book directly through the airline (no extra fees). Download the Skyscanner App. Natasha is a five-foot blonde that believes she was made short so she could fit in air, train, car, and bus seats comfortably while traveling. She lives out of her backpack and documents her travels on The World Pursuit, along with her partner, Cameron. She has traveled to over 50 countries across 6 continents. You can now find her traversing across Africa with a 1989 Land Cruiser named Charlie. Follow Natasha, Cameron, and Charlie in Africa on Instagram and Facebook. I love Botswana. We went there with our teenage boys in 2015 and did Chobe River cruise, Makhadikgadi and 3 days into the Moremi Game Reserve with Old Bridge Backpackers. That was a fantastic time which we won’t forget. Boys loved it, especially the walking safaris when you experience the savannah without the shield of your car. This year we are coming back to Botswana to see Central Kalahari Game Reserve and drive the 4WD from Maun through Savuti to Kasane. If you visit Botswana just once, you have no choice but to come back… This country just keeps calling you back to experience its pristine beauty once again. I uploaded a short film from our trip to Africa and Moremi on my YouTube channel. You are invited to watch :). 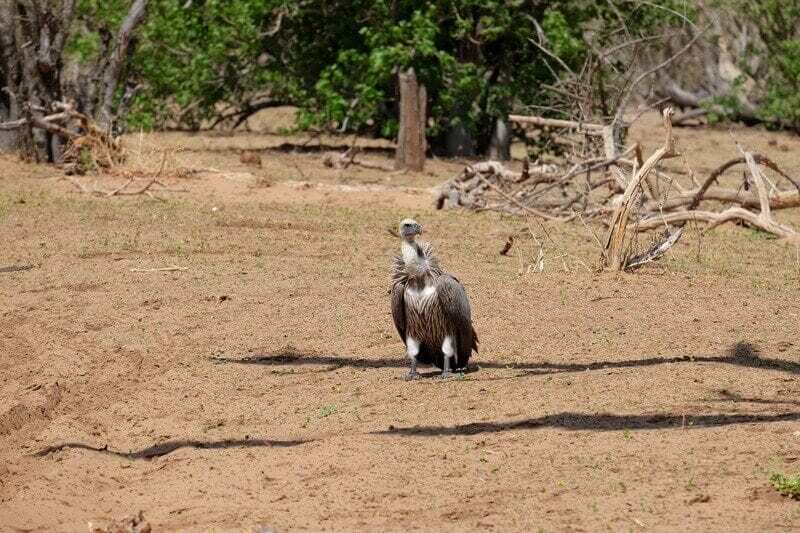 Caz & Craig – thanks for writing about Botswana on your blog. I hope more families will decide to go there for their summer holidays. It’s a beautiful and safe country with a very friendly people. Your trip this year is exactly what we want to do next year. I think we will be making our way back to Botswana soon for exactly the reason you said. Enjoy your Africa trip. It’s great you can stay there for so long. I love to read your stories! 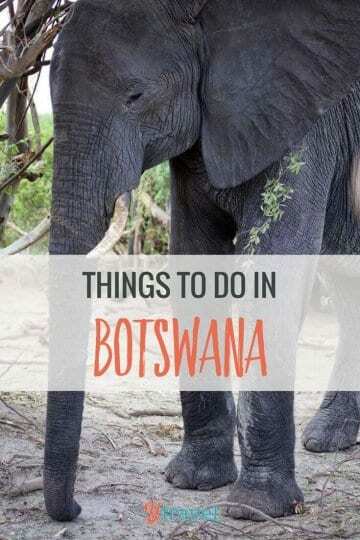 Botswana is high on our bucket list. Although we want to wait a couple of years till the kids are a little older and will remember their encounters with the animals better. Can’t wait! so beautiful place and best place to get wild life experience of that beautiful palce. Amazing experience you shared of that beautiful place. Wow! stunning picture, simply loved it especially the one that of the Kalahari Dessert. I personally am a fan of mokoro rides, it’s kinda getting closer to nature is what I feel. Nice read. Loved it! Hey, this is so amazing! Loved it to every bits and pieces. Thanks for sharing your experiences with us Caz & Craig. Keep traveling. Good Luck mate! It’s a shame to see what it takes to keep endangered species alive, but then again we haven’t even begun to see what it will take to keep humanity going. Sawed-off rhino horns are the shape of things to come. Just wanted to drop by to say that this post is great! 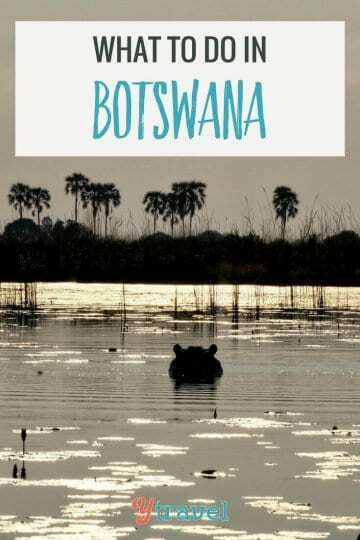 Botswana looks like such a wonderful place to go and it’s definitely added to my never-ending destination list. I’m just in awe of your blog in general!